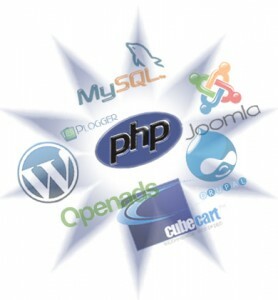 Focus on core competences – you dedicate your time and efforts to business development and implementation of marketing strategies, while professionals take care of your web application development and support Cost – yes, you’ll have to hire a team of PHP developers and QA engineers to build your web application. But remember – nothing ventured – nothing gained. Professional look-and-feel – a great looking website geared specifically towards your business objectives has a much higher conversion rate and, thus, can help better monetize your solutions and boost your business Time – it normally takes longer to develop a tailor-made web solution than build it using CMS or RAD frameworks, but the product quality will be better for sure. Greater code control – when you have your web application developed by a team of professional PHP web developers, you get your source code as part of the final delivery and can transfer it to another vendor or sell it if you feel the web property doesn’t bring you any sufficient value. That said, you’re the sole code owner and can do with it whatever you want. Now let’s sum up: you should choose between custom PHP web development and “do it yourself” development with use of RAD frameworks / CMS platforms depending on your web needs. If you’re thinking about a personal website that will only present some information and contain some very basic functionality – opt for WordPress or Joomla, but make sure the theme you select has appropriate support. However, if your goal is a robust web application offering unsurpassed user experiences and containing some unique tailor-made features – build your web application from scratch and forget about template-based solutions. When you need a good car, you go and buy it as a whole rather than assemble it from many parts (well, there’s a factory out there assembling it for you). It’s all the same with a good web application – when you need a sustainable long-term web solution, you better let professionals develop it for you. And do you agree that custom PHP development allows aligning your web application to your specific business needs and respond to your end users’ needs more promptly and timely?